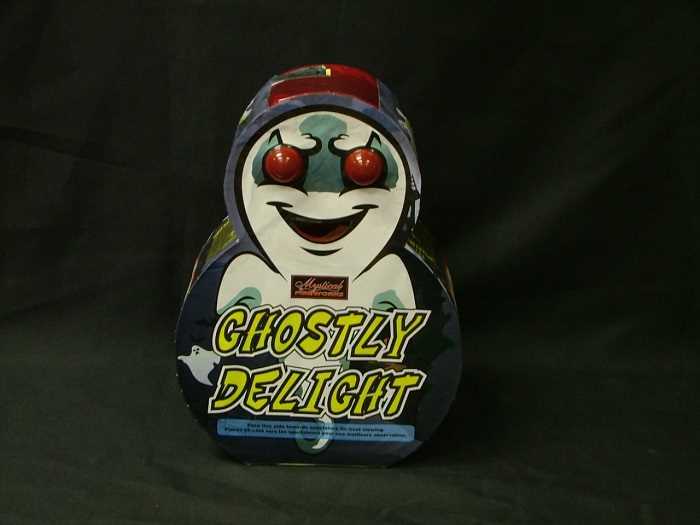 These fireworks produce sparks in one way or another. Fountains produce a spray of sparks, crackles, colours and even whistles. 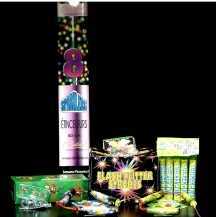 These fireworks are less expensive but long lasting and a good way to start or provide transition in your fireworks show. 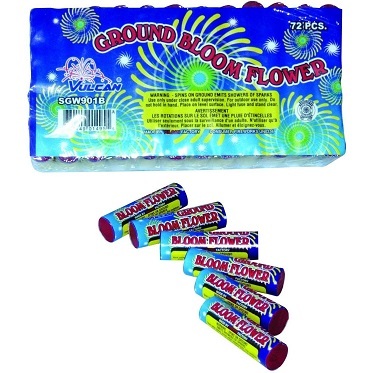 These fireworks need much less space than other fireworks that fly into the air so they can be used close to the audience or in more enclosed areas, even a small backyard. 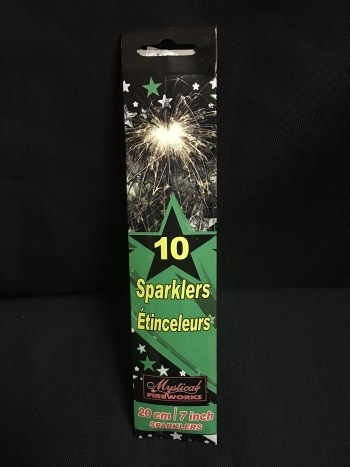 Sparklers are also a favourite - get a few packs to hand out to everyone before the fun begins. Fountains should be put on a firm, flat surface or duct taped to a board. 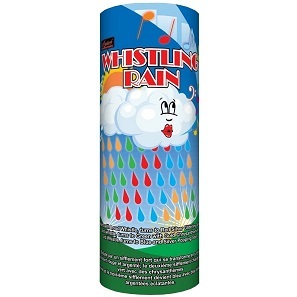 Wheels are nailed to a fence or other solid object and spin, shooting a spray of sparks, colour changes or whistling. Wiggle worms and Tasmanian devils are placed on the ground and then lit. They should not be held while lighting. Children should be closely supervised when they have sparklers - the sparks won't hurt you but the hot wire will! Emits a shower of 4 assorted colors. Emits a shower of Green sparks. Emits a shower of Silver sparks. Throw it in a campfire to change flames to a variety of colours. A color changing ground spinner with an awesome crackle effect at the end. Ground spinner that emits a shower of sparks. Bright red, green and orange lights that create a blinding strobe light. Small fountain with silver sparks and green stars. Fountain made for a cake, no residue. A crackling fountain with red and green pearls. Crackling fountain with red green pearls. 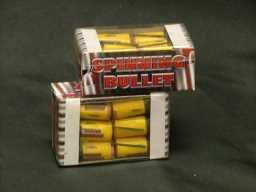 Pack of 12 small ground spinners with red and green lights. Red and green shots with crackling. Cone shaped fountain that emits a shower of sparks. 10 Shots of red and green stars with silver glitter, then timed rain. 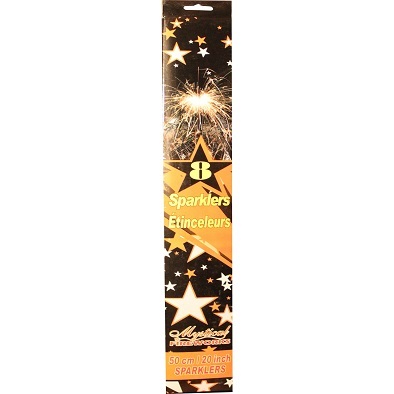 Pack of 10, 20 inch sparklers. lasts for about 1 1/2 minutes. 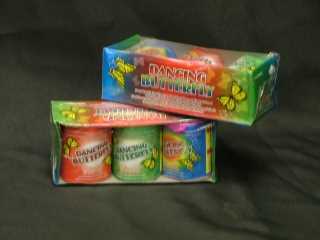 Red-green and strobing stars and ejects colored butterflies that dance and spin on the ground. Red, purple, and orange fountains with coloured stars and silver crackle. Nail to post. Spins emitting shower of sparks. Fountain of red stars with silver chrysanthemum sparks, to green stars with crackling silver sparks, to green stars with silver timed rain. A fountain made for a cake. No residue. 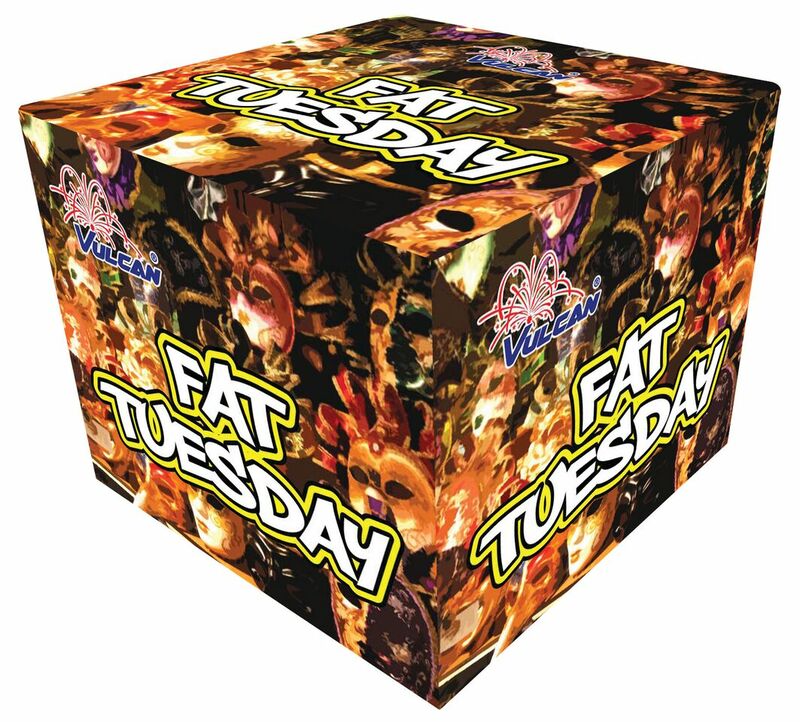 Makes for spectacular birthday photos.4 Cake fountains per pack. A fountain of noisy chrysanthemums with an eruption of silver. 6 pack of small fountains. Red, green and silver with white strobes. Silver Spider Fountain with Blue Stars. 2 Silver Crackling Fountains with Lemon and Purple Stars. Silver Crackling Fountain with Red and Green Stars. 2 Gold Sparkling Fountains with Green and Blue Stars. A fountain cake of red titanium sparks to blue stars that emit from both top and sides. Fountain with multiple effects of chrysanthemum sparks and colored stars. 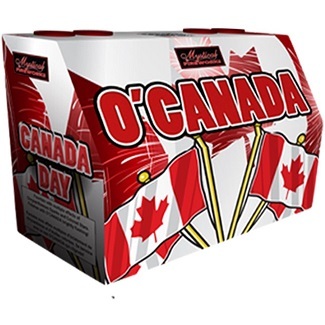 Finishes with O'CANADA brightly flashing! 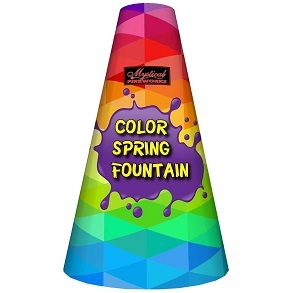 Very long lasting fountain with multiple effects such as orange, blue and green strobe, white and yellow plum, crackling silk and snow pine. Beautiful effects! Silver crackling fountain to red and silver stars. Silver fountain to noisy crackling sparks with green and blue stars. Gold fountain with huge crackling sparks and red, green and blue stars. Flashing cats eyes then a green flame that whistles and shoots from the mouth. Silver bushy flower fountain to noisy crackling sparks with red and green stars, silver bursting fountain to purple and green stars, whistling ghost noise while eyes start flashing. 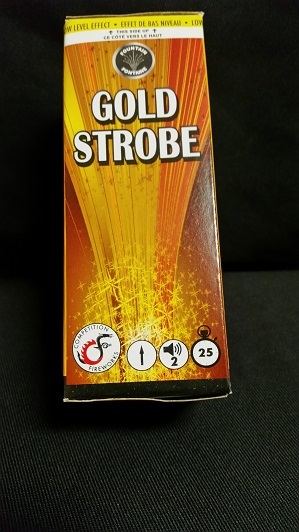 Ending with a pair of gold fountains to noisy crackling fountains with red and green stars.